The SSH action is one of the most popular actions used in Buddy’s pipelines. In Today’s release the SSH action gets some love. Thanks to your feedback, we’ve introduced some new features. Until now, the logs were produced only after the action had finished. Now you can track the progress in real-time. Before the update, all commands were executed line by line which restricted more advanced practices. Now the whole set of commands is executed as a single shell script by default, with the terminal attached in a regular shell environment. If you already use the SSH action in your pipelines, the original running mode (line by line) will not change. All newly added actions will be run as a BASH script by default. 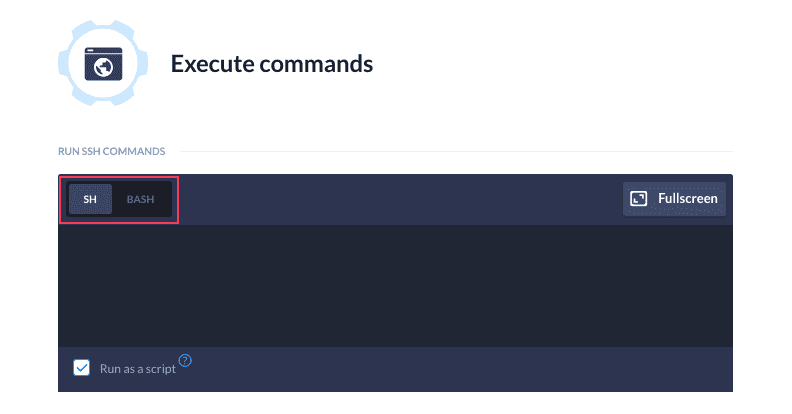 You can now choose whether you want to run the commands as an SH or BASH shell. The logs are much more clear thanks to the new output mechanism.